Thanks to AToMR Book Blog Tours and Plume for letting me participate in this blog tour! 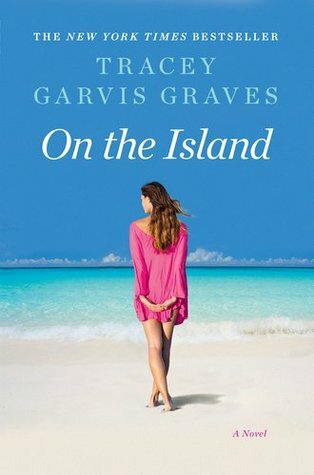 On The Island by Tracey Garvis-Graves. Publication : July 17th 2012 by Plume. Anna and T.J. are en route to join T.J.'s family in the Maldives when the pilot of their seaplane suffers a fatal heart attack and crash-lands in the Indian Ocean. Adrift in shark-infested waters, their life jackets keep them afloat until they make it to the shore of an uninhabited island. Now Anna and T.J. just want to survive and they must work together to obtain water, food, fire, and shelter. Their basic needs might be met but as the days turn to weeks, and then months, the castaways encounter plenty of other obstacles, including violent tropical storms, the many dangers lurking in the sea, and the possibility that T.J.'s cancer could return. As T.J. celebrates yet another birthday on the island, Anna begins to wonder if the biggest challenge of all might be living with a boy who is gradually becoming a man. Since I've never read another book that's based on a plane-crash, the minute I saw the blurb I was interested. Add to that a sort of forbidden romance, I'm definitely listening, or in this case, reading. On The Island begins with T.J., a 16-year-old boy in remission from cancer, and his 30-year-old tutor Anna, trying to head to an island close to Maldives to join T.J.'s family, who're vacationing there. However, things don't go as planned and their only option left (if they want to reach the island the same day) is to take a seaplane whose pilot is an old, clearly unfit man named Mick. During their flight, Mick gets an unexpected heart attack, causing the plane to crash. Luckily, T.J. and Anna make it to a nearby island alive. Their only problem now is that they're stranded. Despite knowing that this was a love story, I went in expecting a gritty novel about survival. My bad. However, although it wasn't what I was expecting, On The Island still kept me up the entire night. This is a story about finding love in unexpected places and among unexpected people, literally. I know that it's weird to be okay with a teenage boy falling in love with a woman in her thirties but then again, Anna and T.J. went through something that no one can relate to and it's understandable that they develop a bond. Watching them fall in love, it seems so natural that you don't question it. It's clear that while writing this novel, the author knew that the difference in their age will affect them as they're in different places in their lives (emotionally and physically), yet she made it all work out. I realize that's a good thing (most people would think so) but for some reason, it was also my main problem with this story. While the first half of the novel kept me turning the pages at rapid speed, the second half didn't flow as smoothly. I just couldn't find the progression of their relationship realistic after they were rescued from the island. Maybe it was because no matter how normal their relationship seemed on the island, I just didn't see it last. Through out the second half, the only thing going on in my head was that their relationship was based on an traumatic/emotional experience, it's so not going to work. Having said that, this is still a pretty unique novel and definitely worth a read. You won't regretting buying it. As listed in the Rafflecopter. It is the author/publisher's is responsibility to ensure that the winner(s) get their books, not mine. Thank you for participating in the On The Island Event! This week in addition to reviews and posts, select blogs are hosting a word from the author's favorite quotes in the book as a Scavenger Hunt! There is one quote from Anna and one from T.J. Visit each stop this week to find the hidden words (they will be numbered for order) and after July 22nd, submit your answer to the quotes here! Random winners for books and swag will be chosen and notified by July 29th. 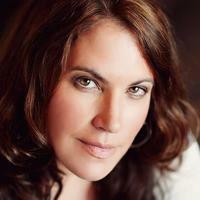 Monday, July 23 at 8:00 pm CST - Chat with the author Tracey Garvis Graves! We will be chatting with the author on Savor Chat: http://www.savorchat.com/chat/on-the-island-chat Come join us (You can sign in with twitter or facebook)! Each day look at #ontheisland on twitter for random shout outs to win books and swag! @Tale_of_Reviews On The Island releases in bookstores Tuesday, July 17th! If you see the book in stores or 'in the wild' take a picture. Please tweet it and use hashtag #ontheisland. Or you can post it to facebook! Please submit twitter and facebook links of your post/tweet here! What an incredibly generous giveaway. Thanks, Tracey! Looks an an interesting read! Deserted on a tropical island---ooh! I like reading such nivels very much. i likemost of all. that is pretty pleasant to do that.